Pilates exercise instructional videos and demonstrations with Lesley Logan. This week, our first week adding in the Reformer classes we are bringing a little Reformer to our Mat! If you have 1 lb. weights bring them with you to your mat. We will be incorporating the love of Rowing and some other Reformer exercises to your Mat practice as we have been the last couple weeks in honor of Spring and the springs on the Reformer. These exercises are designed to help you get more connection to your back and your mat! And, for those of you taking Reformer class, welcome to the first Reformer class on OPC! This week’s class we will focus on what’s connecting to where. While it seems easier to work on these connections on our Reformer there are so many places where we can disconnect that it makes for a fun flow!Grab your mat and or Reformer and let’s get ready to flow! P.S. After class be sure to use the comment box to share what you loved, questions you had and any wins! This week’s class, live for 7 days. Take class any time of the day, from anywhere, on any device – as many times as you’d like. Spending 15 minutes deciding what class to take? Here there’s only one live class each week. But, don’t miss it or it’s gone! Each class is only $5! Cancel at anytime. 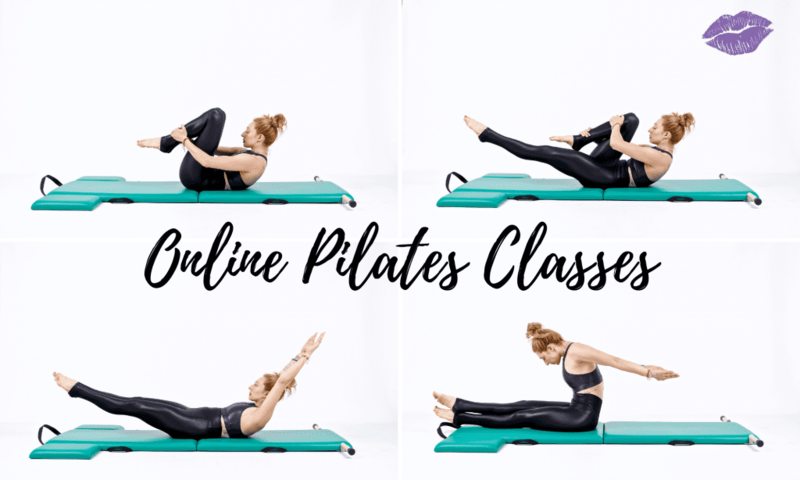 The first free online catalogue of Pilates exercise tutorial videos. Dive deep into one specific topic with veteran teachers.